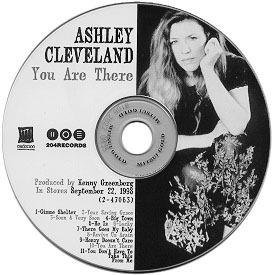 YOU ARE THERE Ashley's latest album, has been nominated for a 1999 Grammy Award for Best Rock Gospel Album! James Lloyd of the Dayton Daily News writes: ... Cleveland's raw live performance sacrifices none of the Stones' passion while stirring the soul - and husband Kenny Greenberg's guitar sizzles. 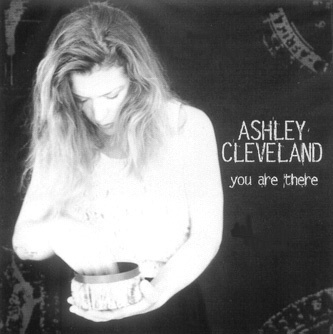 James Lloyds' review of You Are There is here. There are some photos from Ashley's last appearance at Canal Street here. There are some photos from Eric Loy's appearance at Canal Street opening for Mike Roe here .